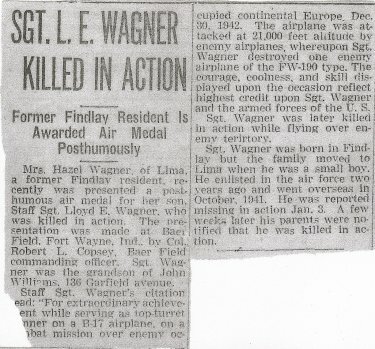 Sgt Lloyd E. Wagner (KIA) replaced T/Sgt Victor J. Cozza as Flight Engineer on the 03 Jan 43 flight. 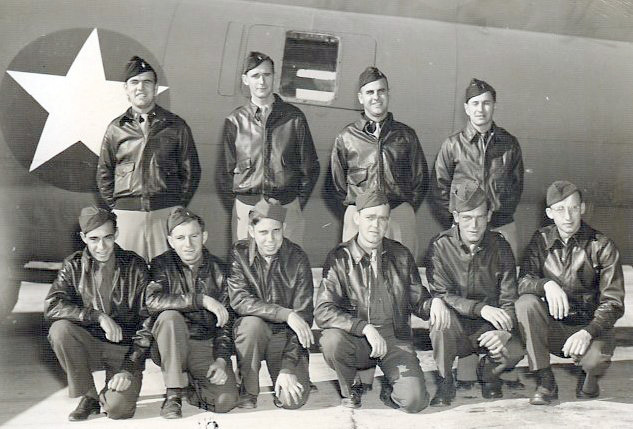 T/Sgt Cozza was medically grounded after mission #6 on 6 Dec 42 and became a 359th BS Radio Repairman. On 25 Nov 43 he tripped over a homelite generator and fell headfirst into the prop of 359th BS B-17F Knockout Dropper and was killed. 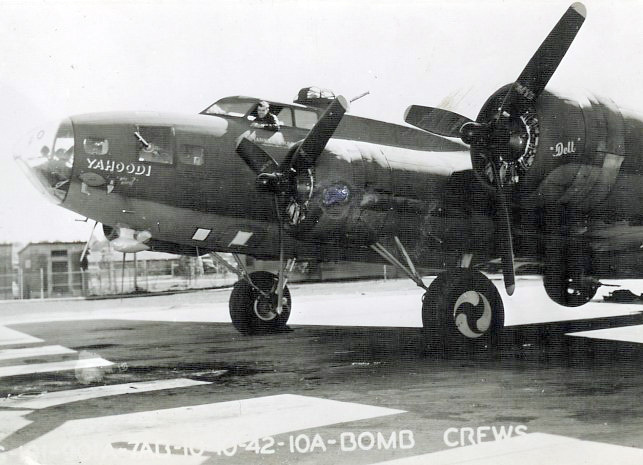 (KIA-POW) on 03 Jan 43 mission #9 to St. Nazaire, France in B-17F #41-24608 Yahoodi 359BS (BN-S). B-17 ditched in English Channel after Group encountered intense flak and attacks by 25-35 enemy fighters. 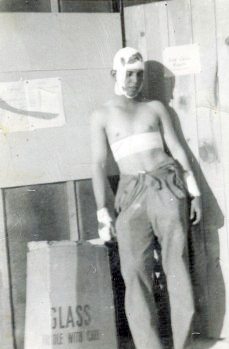 Sgt Howard A. High (TG-KIA) was a crew addition.